On this day 100 years ago, Dumfries football enthusiasts met to discuss the proposed merger of three local football clubs, Dumfries F.C., the 5th Kings Own Scottish Borderers football team and Arrol-Johnston Car Company. 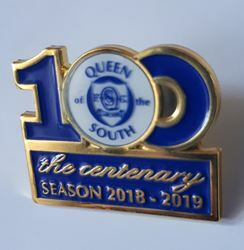 This was to be the birth of Queen of the South Football club. The first formal meeting of the newly formed club took place on 26 March at 38 Whitesands in Dumfries at the premises of the New Bazaar public house.